Cherry blossoms are in full bloom from late March to early April in Odawara. In Hakone, various kinds of cherry trees blossom later than Odawara, and you can enjoy it until late April. Various events are held during the cherry blossom season. 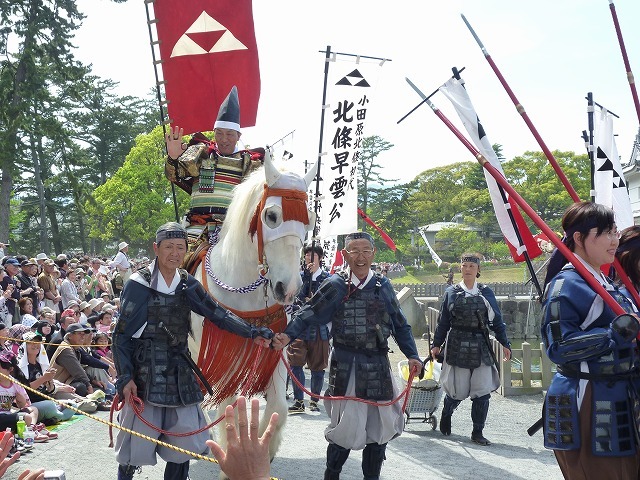 Odawara Hojyo Godai Festival, held on the May 3rd every year, features Hojyo samurai family in Odawara, who ruled entire Kanto region in the 16th century. About 2,000 participants, including various costumed Samurai warriors and marching bands, parade throughout the city. It attracts many visitors every year. Hakone Lake Festival is held on the July 31st. 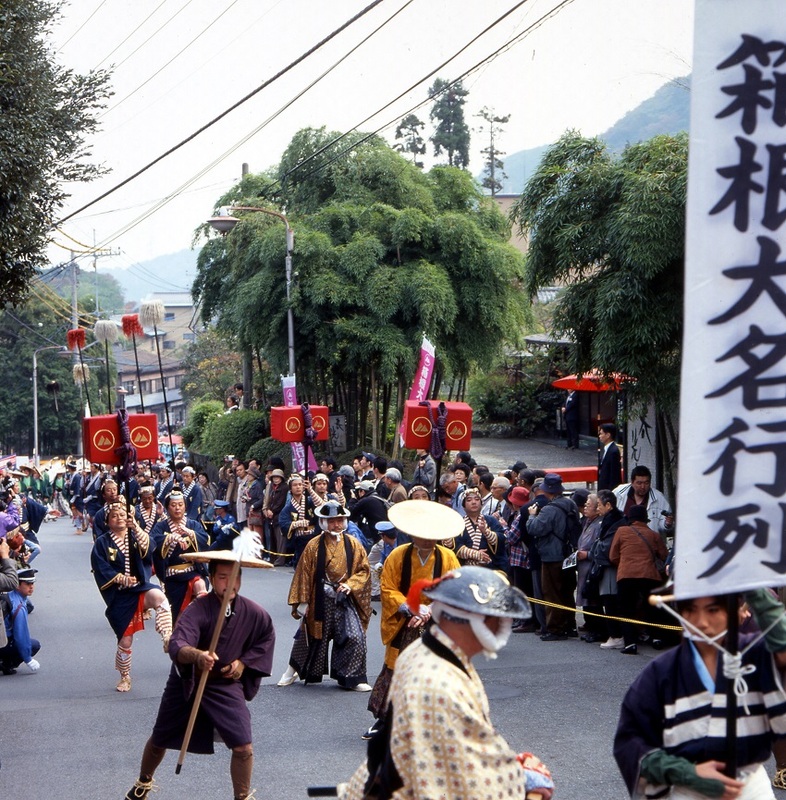 It is the first event of the series of Hakone and Kuzuryu shrine rituals in summer. 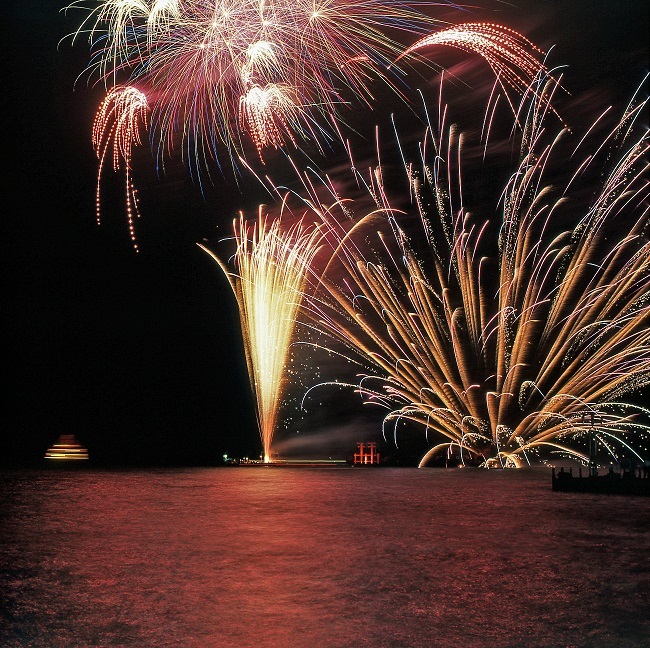 Fireworks set off over Lake Ashi-no-ko are spectacular. Daimonji-yaki, started in 1921, is a ceremonial festival of Bon period held at the night of the August 16th every year. 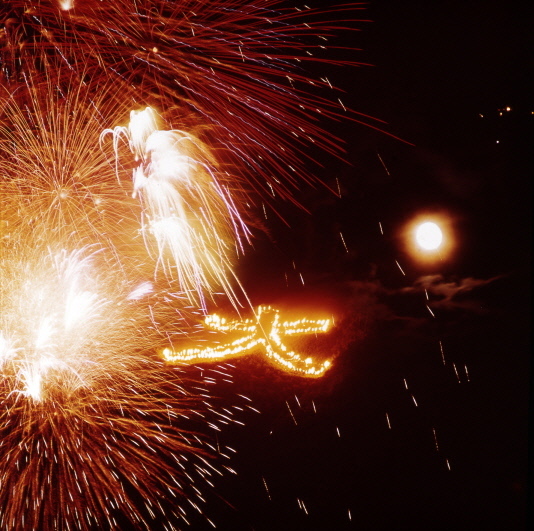 Bonfire shaped as the “dai” character of Kanji is lit on the slope of the mountain. People console and see the spirits of our ancestors off with this fire. Hakone Daimyo Gyoretsu is held on the third of November every year. It's a reproduction of the daimyo gyoretsu in Edo period (1603~1867. The highlight is the parade in samurai costumes. *Daimyo: Head of samurai families in each local district. *Daimyo Gyoretsu: Gorgeous procession of Daimyo while traveling between his territory and Edo (Tokyo). Autumn leaves in red and yellow begin in November at Hakone. 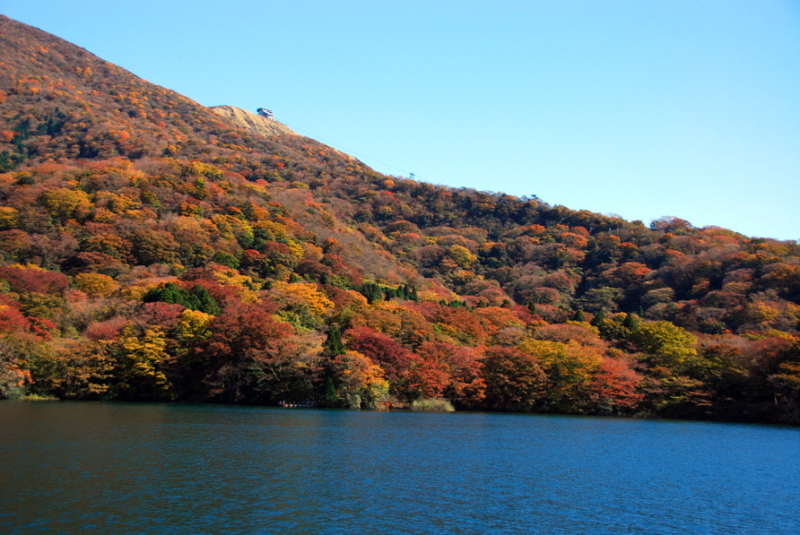 A variety of colored leaves in Hakone make the views of mountain even more beautiful. Japanese plum trees are in full bloom from late January to February. They bring spring to us. Plum tree festivals take place in Odawara and Yugawara.